Alison Dykstra has a master’s degree in architecture and has been a registered architect since 1983. She is a member of the American Institute of Architects and the Construction Specifications Institute, from which she received her CDT certification in construction documents technology. Her field experience ranges from project management for developers of mid-rise steel frame and townhouse complexes, to design and construction management of her own residential projects, to planning and organizing educational programs about solar and wind energy systems. Dykstra began teaching construction organization and management in 1992 and is currently an adjunct faculty member at Santa Rosa Junior College in California. 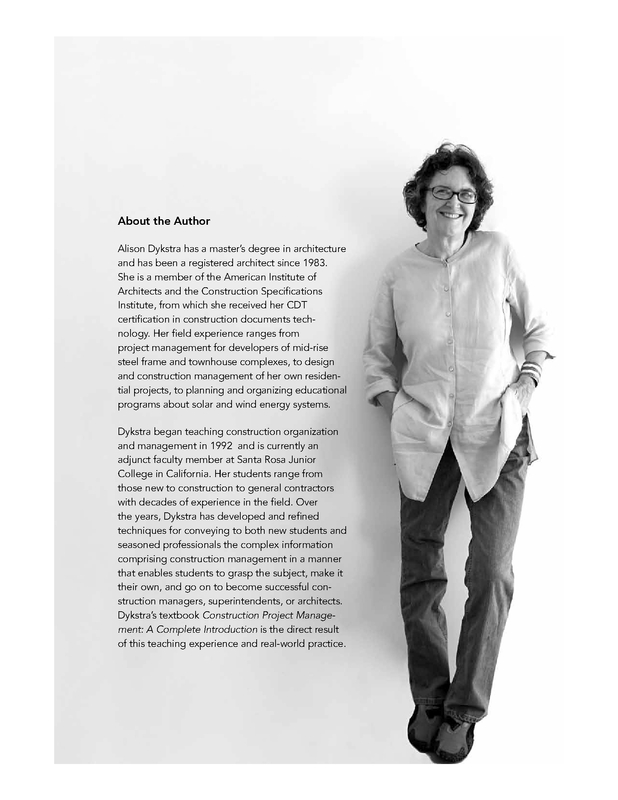 Her students range from those new to construction to general contractors with decades of experience in the field. 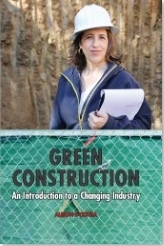 Over the years, Dykstra has developed and refined techniques for conveying to both new students and seasoned professionals the complex information comprising construction management in a manner that enables students to grasp the subject, make it their own, and go on to become successful construction managers, superintendents, or architects. 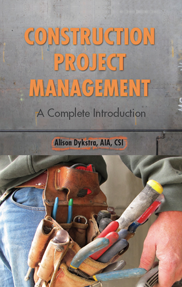 Dykstra’s textbook Construction Project Management: A Complete Introduction is the direct result of this teaching experience and real-world practice.